Our service area extends into all of Sacramento's surrounding counties. Operating from our headquarters in Western El Dorado County we can reach Lake Tahoe to the East, The San Francisco Bay Area to the West, South to Merced and North to Redding. Delivering the service you expect from your temporary fence provider. Working together with developers, builders, and public agencies. 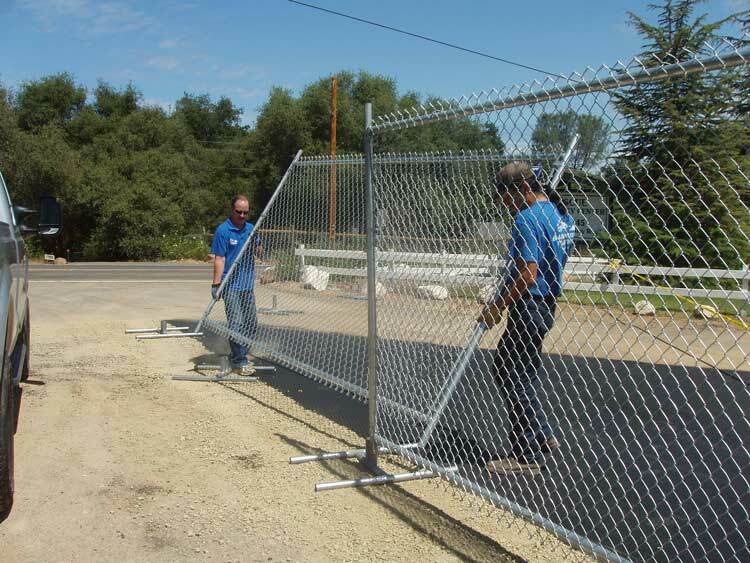 Offering temporary fence service, construction fencing, emergency service, crowd control, public safety protection. On time and on demand. 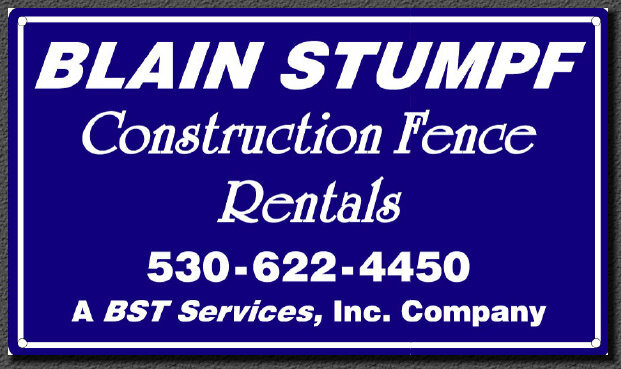 Blain Stumpf Construction Fence Rentals. Temporary fencing is practical for most short term needs. Our fence is installed on free standing bases that do not require driven posts or bored holes. Once the fence is removed the site will show no signs of previous fencing. Temporary fence is most common around new construction. Protecting the public from construction hazards and securing the site from unauthorized activity. Construction materials suffer less "Shrinkage" due to after hours "Procurement". 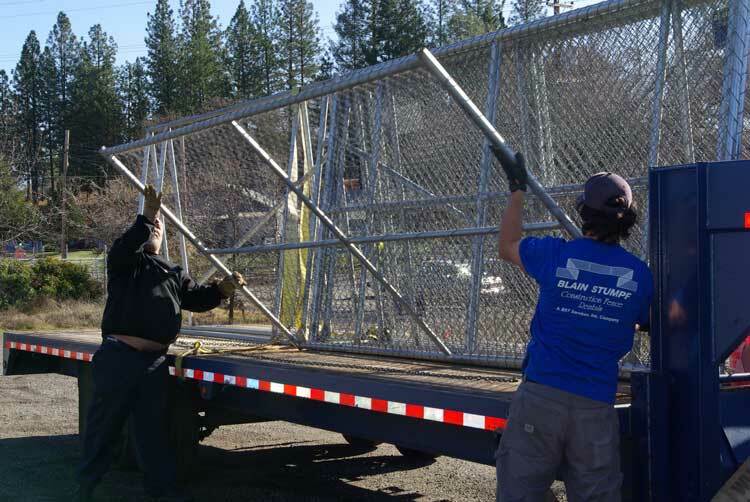 Temporary fencing provides a distinct perimeter that signals to the public "You don't belong here"
Insurance carriers frequently specify the use of Temp fence as protection from unauthorized activity and protection from injury claims. Temporary fence has become popular with special event organizers. State beverage control is now specifying that activities offering "Adult beverages" be isolated from access by the underage public. We can also add view barrier fabric to maintain privacy during these events. Independence Day celebrations utilize temporary fencing for cordoning off fireworks launch areas. Emergency service is available 24/7 for securing areas of fire damage, structure failure, or any unplanned situation that could endanger the public if allowed inside of a secured perimeter. Security can be provided to abandoned homes, bank owned, or condemned structures. Protecting the public from hazards that can't be monitored continuously. We go where others won't. 30 miles deep in the woods? No problem! Our commitment to service means we will accept the challenge of the difficult jobs.